Maryland Anatolian Shepherd Rescue View other Anatolian Shepherds for adoption. 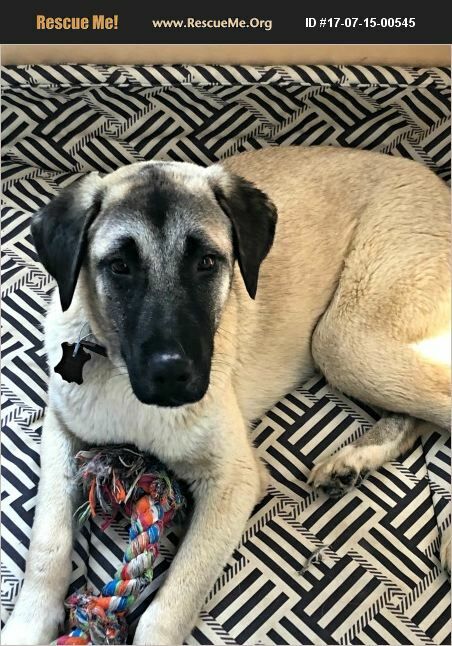 Mia is 10 months old female Anatolian Shepherd (Kangal). All the shots and vaccines are up to date. Good with kids and other dogs however we would like to send her home where she will be the only dog of the house and no cats please. She plays well with other dogs but she has food protection around other dogs. She also likes to get in to other dogs' bowls. She is totally fine with people of all ages. She is very energetic. She needs large area where she can run and stretch her legs during the day. No crate for this type of breed. Kangals are very nice and smart dogs. They will protect their humans if they sense any danger. They are so friendly, we want to send her home who will understand this breed very well and be patient until she matures and settles down more.. Feel free to call/text for more information and pictures.